QUAKETIPS: Don’t be left in the dark: which kinds of power failure back-up lights work best in an earthquake? 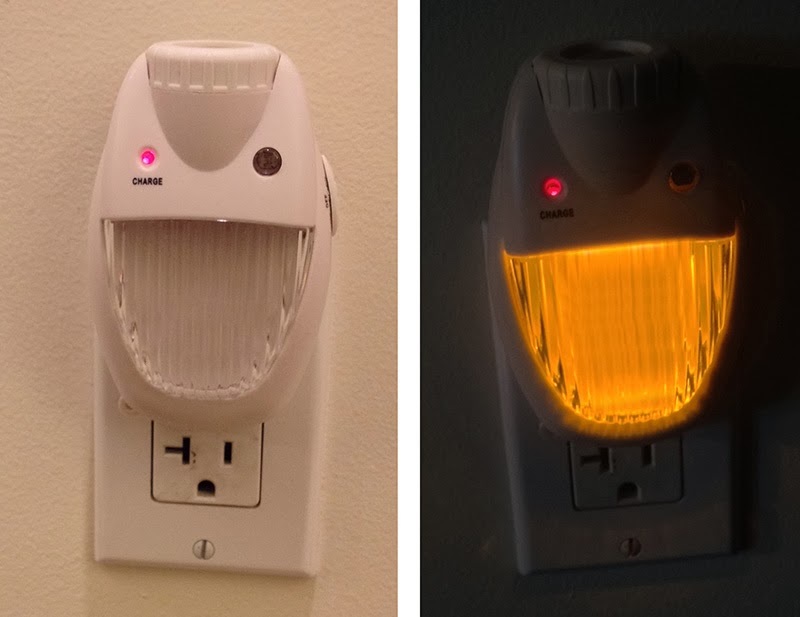 electrical outlets that are always charged when you need them, but specifically to lights that remain charged and function as dim nightlights as long as the outlet has power, and if the power goes out (or if you unplug the light), a bright emergency light goes on automatically and can last for hours. The picture shows an older version based on an incandescent bulb; good for illustration but these aren’t available anymore because the LED versions last so much longer on a charge. critical seconds of your response during a nighttime earthquake. which being suddenly shaking in pitch dark could be bad; that includes bathrooms. A bulky light is not going to be practical in many electrical outlets. the last thing you need is to add a strobe effect as if you were in a 1970’s disco. the company to inquire. As a result, they responded to the review on Amazon. Leviton “rechargeable power failure light”: This one has a nightlight that is nice and soft, which is good, and leaves one outlet uncovered. The problem is that the emergency light IS the nightlight; it’s no brighter. I think it was not intended to cast emergency lighting into a dark room, but instead just to be a floor marker light to help you find your way down a hall. That’s not good enough for a true emergency situation. I also found it distracting that the nightlight is amber colored, very pretty but a bit disconcerting late at night in a dark room. The winner hands down, at least for me, is the Greenlite “LED 3 in 1 Nitelite.” This also leaves one outlet uncovered, and has a white nightlight that goes on during the dark, with a reasonably bright white emergency light that shines outwardly through a multifaceted lens that spreads the light nicely; no blinding effect while still casting a glow into a dark room. However, this was not without its problems. First of all, Amazon has reviews from hundreds of people, some of which love it and some hate it. Those that hate it mostly complain about bad light sensors, in that the nightlight is supposed to be off when it senses light but some of these would be completely bright during the day, even if a flashlight was shining directly on the light sensor. My original Greenlites didn’t have this problem, then I ordered more and some did. My most recent one did not. I suspect they had some bad batches and the bad reviews are from those who got the bad products. If you get the Greenlite, be sure to test it for a couple of days before discarding the packaging and be prepared to return it if it is bad in exchange for a new one. about it, you can probably find a different kind of tape that will look better. Feel free to comment on this post if you have any other lights that are worth trying. problems during the confusion of an earthquake (like disorienting or blinding you). And now hopefully you are no longer in the dark about not getting left in the dark. Just to note: last night we had a power outage at about midnight for roughly 1 hour. Writing my own post about power failure back-up lights had prompted me at that time to fill in any gaps and to make sure that I had Greenlite lights strategically placed so that nowhere would be dangerously dark if the lights went out during a night-time earthquake. It was great, easily enough light glowing out into the rooms without any of them being blinding; it was easy to find my way around without bumping into anything or stepping on anything, and to get a somewhat more robust lantern out of the drawer. "Anytime, anywhere, anyplace n the abscene of light LiSor provides instant 360-luminescent visibility requiring no battery, diesel/gas and zero maintenance because indirect-light or sun energy is stored then emitted in the absence of light." I have one Blackout Buddy in every room in the house and one by each exit so if the power goes out for any reason, to include fire, I can find the exits and have flashlights to use regardless of what room I'm in when the power goes out. You don't have to search for them. I was thinking to install big emergency lighting systemm in my house. I heard about shcneider and even looked on such components here http://electrical-components.com/schneider, does anybody know about ir features. imean is it profitable to buy it. It is not cheap! I’m adding a comment to this article, some years later. It’s not my goal to become a perpetual light reviewer, but I did open the floor up in my article to those who have other lights that might be worthwhile. 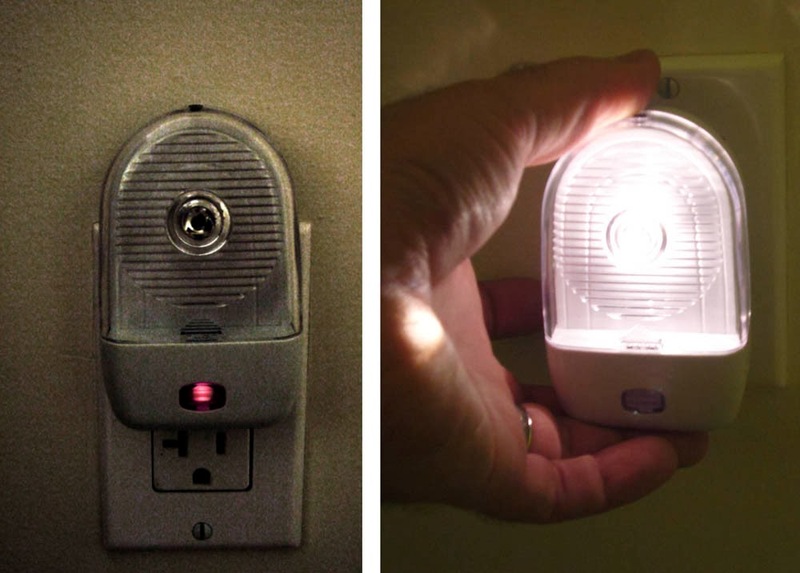 I recently was contacted by Ideal Security Inc., the makers of the Ideal Security Blackout Emergency Power Failure Light, to see what I thought about their products. They have two relevant products, one of which has two LED flood lights and the other has a panel of LEDs behind a faceted diffuser. I decided that it makes sense to at least mention the existence of these larger style emergency lights and evaluate how appropriate they might be specifically in the earthquake situation. Disclosure: the company offered to send me a free sample to review, and have sent me the 6-LED panel style. They understand that I will give an unbiased opinion and that the opinion could be good, bad, or mixed; they are fine with that. Now, please don’t everyone start lining up to send me samples to review; I just don’t have the bandwidth for that, but it’s worthwhile describing the pros and cons of this light here in the comment. First of all, it’s bright, REALLY bright... just this side of nuclear. This is both good and bad, as I’ll get to in a minute. It is not a small plug-in cassette; it is a free standing or wall-mounted device that is about 7” wide, 6” tall, and 2” deep, with a plug-in adapter to live in the wall outlet. It lists for about US$60, so its size and price make it not quite as feasible for something to be in every room of the home, but it’s so bright that it is only suitable for large spaces anyway. Because of character limits in these comment fields, the pros and cons are described in the next comment. This has a nice range of levels with a high setting that uses all 6 super-bright LEDs, a low setting that uses 3 of them, and a nightlight setting that uses only one of the LEDs and dims it as well. The nightlight can be set for always on or automatic when it is dark. It also has a nice breaker switch that you can press to interrupt the circuit and make sure that the light is working without physically unplugging it. The advantage of the high brightness is that it really bathes a large room in light. I have a large open space in my condo that includes a living room, dining room, and kitchen, about 25 feet in the long direction, and with this light at the far end of my kitchen facing outwards, I could easily read at the other end of that space with all of the regular lights out, even on the low setting. So if your goal is to have an entire large space bathed in light if the power cuts out, this light does that quite nicely. It also has a handle to make it easy to carry around as a super-bright portable lantern. 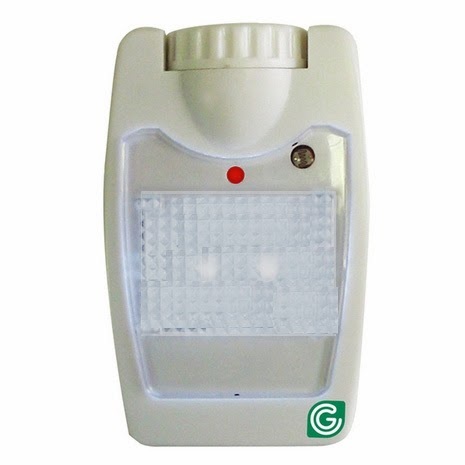 Just from an emergency power failure light standpoint, its brightness limits the kind of room in which you can put it. The nightlight, if you use it, even on its dim setting, is very bright; enough so that I would not recommend putting it in a bedroom with the nightlight option on. Actually, there is a small blue LED indicator light to show the unit is plugged in and charging, and that tiny blue light itself is quite bright, a blinding point of light in an otherwise pitch-dark room. I think even the blue light is bright enough to interfere with sleep, although you could cover that indicator light with a partially or entirely opaque tape if that were a concern. More relevant to the purpose of this blog, the brightness of either emergency light setting creates problems in a nighttime earthquake similar to what I described for the Blackout Buddy in the main article, which is that it is so blazingly bright that it is actually hard to be in a dark room with the light; I found myself shielding my eyes when this was pointing out into the room, despite the multifaceted diffuser. One potential work-around is to mount it high up on the wall so that its brightness is directed over your normal lines of sight, although this makes it impractical to get it and carry it around afterward. You could opt to have it not on a wall facing out, but sitting somewhere else facing the wall, to cast a major glow without blinding. That isn’t necessarily going to be a convenient situation for you, and remember that if the light is sitting loosely on a surface and an earthquake moves or topples it, then once again it might be pointing right in your eyes as you try to move around in the already confusing and disorienting circumstance of a large quake (quake putty, anyone?). Conclusion: While I’m very impressed by the brightness and the design, excessive brightness in an emergency power failure light becomes a large liability if you are trying to deal with an emergency earthquake situation; a case where more is not necessarily better. 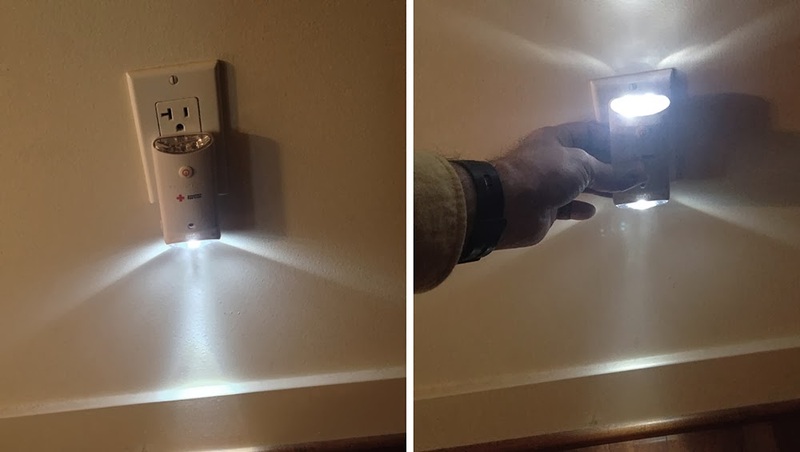 My ideal situation during a large earthquake is to have emergency lighting that lets you see without blinding glare, and then you can use that moderate illumination to find a dedicated flashlight or lantern afterward. If you get a large bright light like this one, my suggestion would be to mount it high up on a wall to illuminate a room from above and plan to leave it there, rather than to carry it around afterward. Check out https://www.idealinc.com/lighting/emergency-lighting/sk638-emergency-power-failure-led-light-6-x-5w-leds if you are interested in learning more. Thanks for your feedback. If you are referring to the same amber colored Leviton I described in the article, my concern as I mentioned was that while it is easily visible, I didn't feel that it really lit up a room enough to enable one to move around confidently during or after a quake. Some were too bright and blinding, this one was too dim... a Goldilocks and the Three Bears situation! I am wondering if anyone has any updates on emergency lighting in the past year? I don't have any new information myself, but if anyone has a particular light that they really like that hasn't been mentioned, feel free to describe it in the comments.